Join the next generation of commercial drone solutions with the XT2. Pairing the FLIR Tau 2 thermal sensor and 4K visual camera with DJI's leading stabilization and machine intelligence technology, the XT2 quickly transforms aerial data into powerful insights that save time, money and lives. Features Dual Sensor ConfigurationThe Zenmuse XT2 builds on top of FLIRs dual sensor configuration, combining FLIRs Tau 2 thermal sensor and 12MP visual camera. 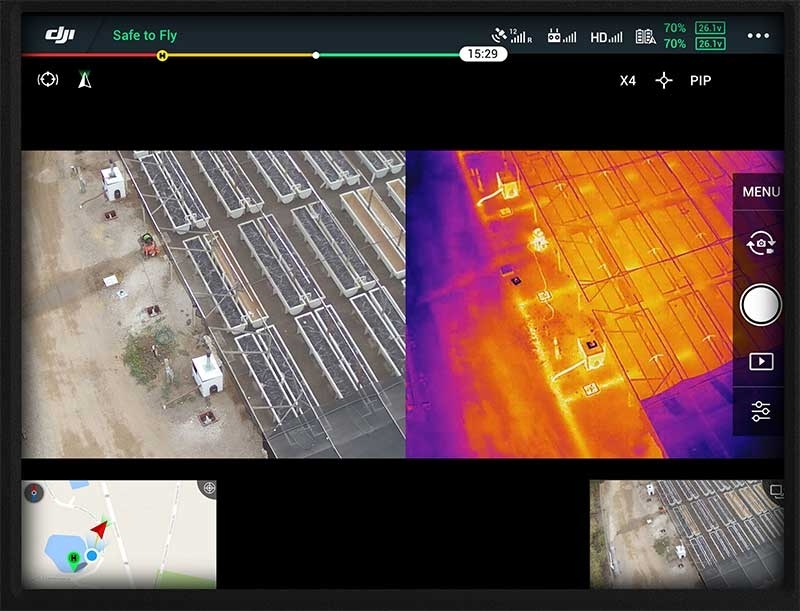 Additionally, the XT2 utilizes the highest end Tau 2 sensors, with all models havingadvanced radiometric capabilities storing temperature data ..
Join the next generation of commercial drone solutions with the XT2. Pairing the FLIR Tau 2 thermal sensor and 4K visual camera with DJI's leading stabilization and machine intelligence technology, the XT2 quickly transforms aerial data into powerful insights that save time, money & and lives. 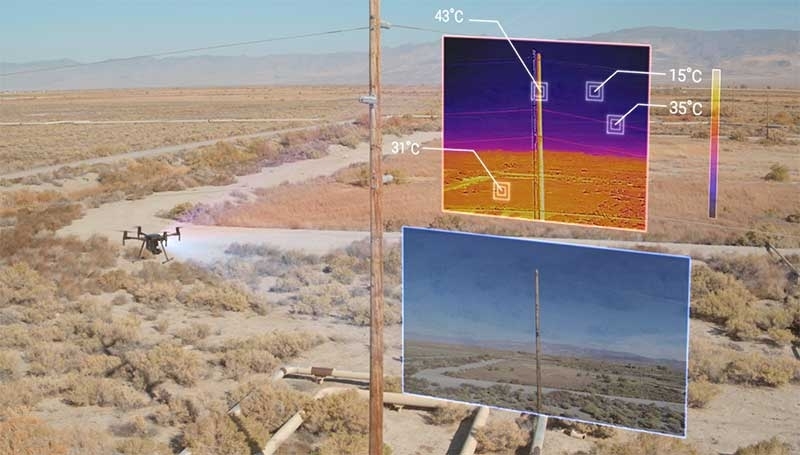 advanced radiometric capabilities – storing temperature data in every pixel – and a max 30 Hz thermal frame rate. The XT2’s dual sensors are housed within a weather resistant encasing, providing an IP44 level rating. This makes it the first DJI camera to match the M200 Series’ rugged build, combining to form a drone solution that can fly through light rains. 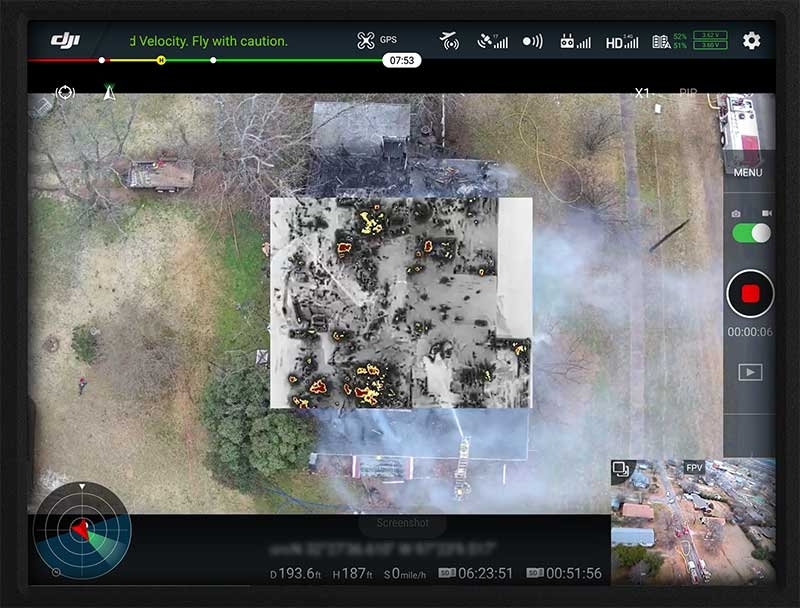 The XT2 utilizes DJI’s leading computer vision technologies and trusted thermal interpretation tools to provide a suite of intelligent features that helps teams identify what’s important while on-site, instead of after a lengthy processing time. Temp Alarm: Don’t miss a thing with instant notifications when object temperatures exceed pre-set parameters. Heat Track: Capture the most critical information by automatically locking the XT2 onto the hottest object in view. FLIR MSX: Quickly interpret data with details from the visual image overlaid on the thermal data stream. Temp Check: Tap a point or select an area for real-time temperature measurements. Quick Track: Select an object to lock the XT2 onto it, simplifying missions in complex environments. Isotherms: Focus on a specific temperature band to identify what’s important. Color Palettes: Adjust the colors applied to the thermal data to easily interpret what’s happening. Housed within a weather resistant encasing is a combination of FLIR's advanced radiometric thermal sensorand 4K visual sensor - all integrated seamlessly with DJI's powerful enterprise drone platforms. Enabled by a suite of processors and computer vision algorithms, the XT2’s onboardMachine Intelligence helps teams identify what’s important while on-site, instead of after a lengthy processing time. See the unseen. FLIR thermal sensors reveal details invisible to the naked eye by making subtle differences in temperature visible. This new view on the world can reveal when equipment or buildings are damaged, the location of lost people and much more. With a quick turn of the wrist the Zenmuse XT2 secures onto DJI’s industry-leading M200 Series and M600 Pro drones to provide pilots a direct view and control of this powerful thermal sensor. When the XT2 is mounted onto a M200 Series drone, pilots have a combined solution that extends the operation window for drone technology - letting pilots fly confidently in lowlight conditions, through a strong breeze or in light rain. Utilizing the M210 drone models, pilots can build more robust drone solutions around the XT2 over time by adding zoom cameras, additional onboard computers and other payloads to fit a variety of specialized missions. Professional Flight Control. DJI Pilot is a robust Android app developed specifically for enterprise-users to unleash the power of their DJI drones. With development made specifically for the XT2, DJI Pilot optimizes your flight and aerial imaging process.